unseasonably warm temperatures that often produces horrendous fires. 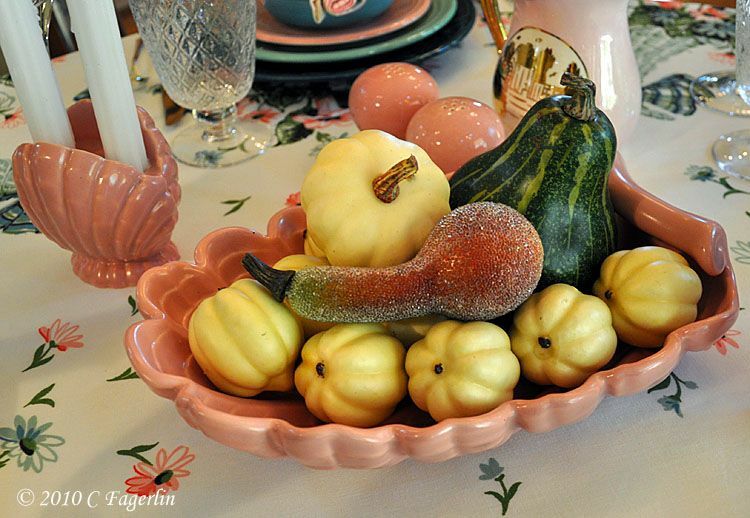 In modern depictions, the cornucopia is typically a hollow, horn-shaped wicker basket filled with various kinds of festive fruit and vegetables. 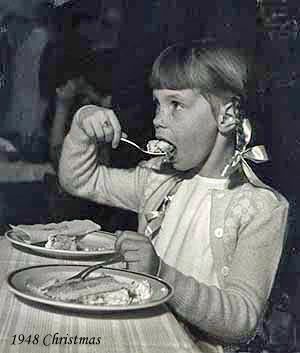 In North America the cornucopia has come to be associated with Thanksgiving and the harvest. overflowing with flowers seems perfect for an 80F November day. 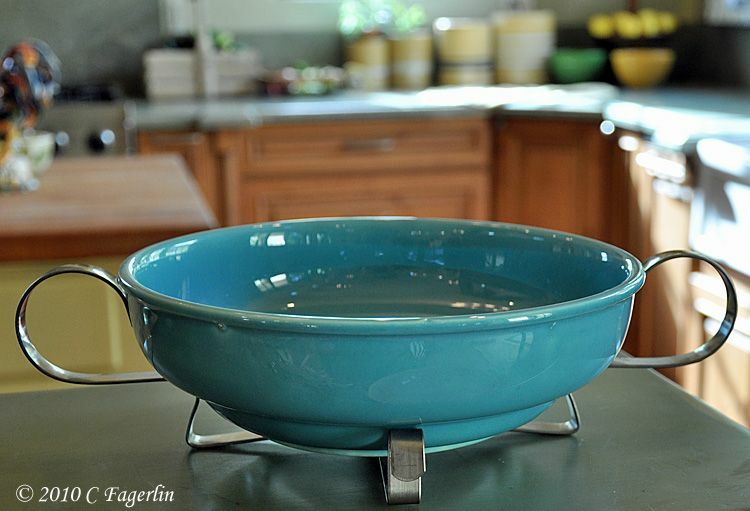 Post 86 Fiesta in Seamist and Rose, with Fiestaware2000 Juniper dinner plates and vintage Fiesta Turquoise bowls. 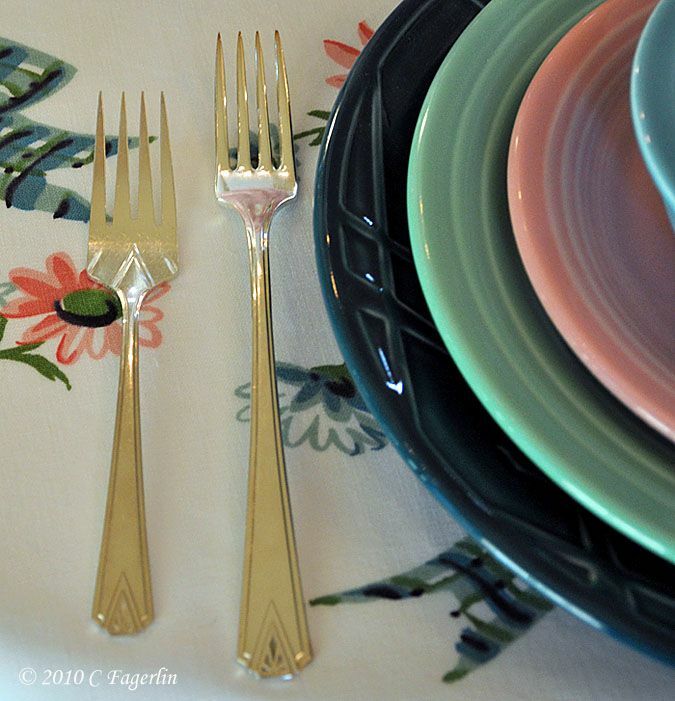 Glassware from Pier 1, flatware is Deauville, napkins from Home Goods and the napkin rings are sterling from eBay. 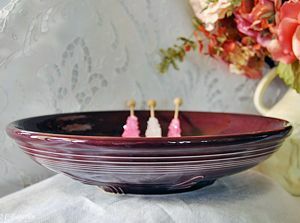 The candle holders and presentation bowl are vintage Abingdon pottery in a shell pattern. 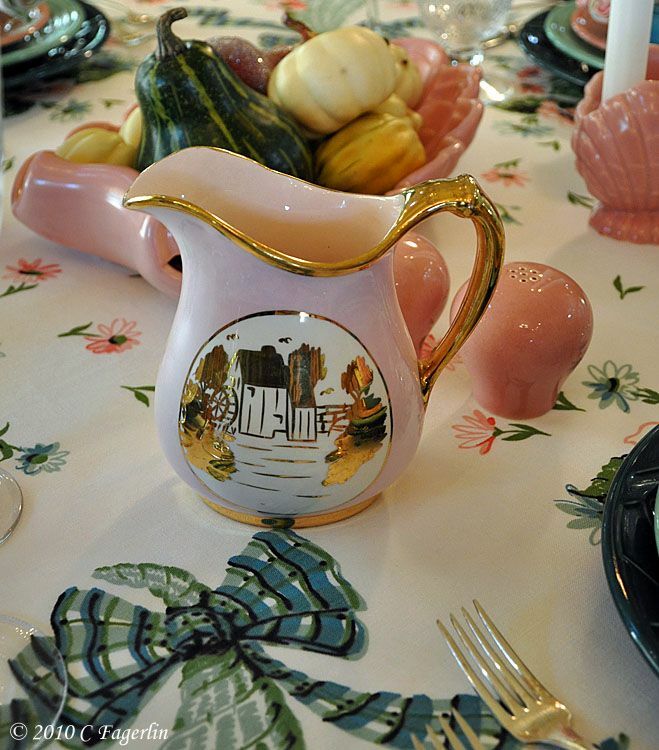 Vintage Homer Laughlin milk pitcher hand decorated with gold. 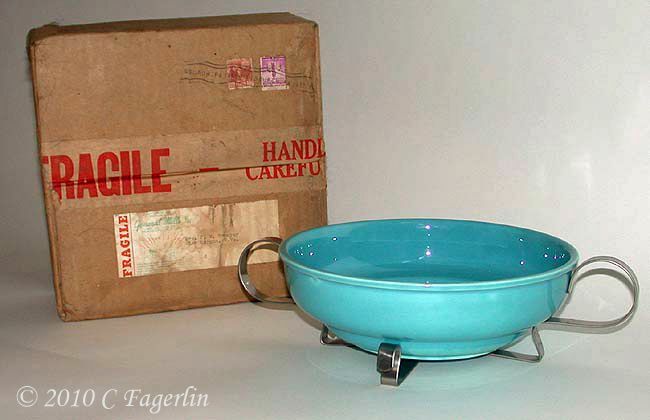 Vintage "Betty Bowl" produced for General Mills by several different companies, including Homer Laughlin. 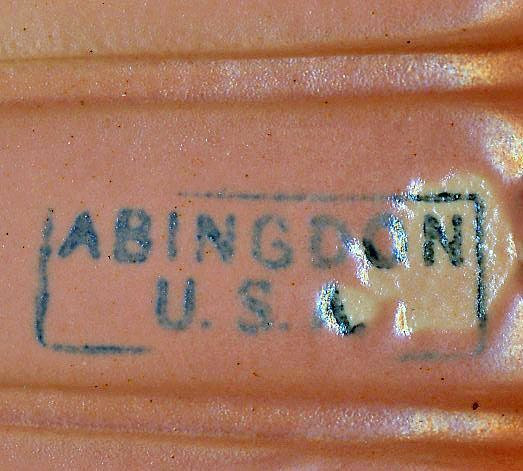 Shown below in its original shipping carton. 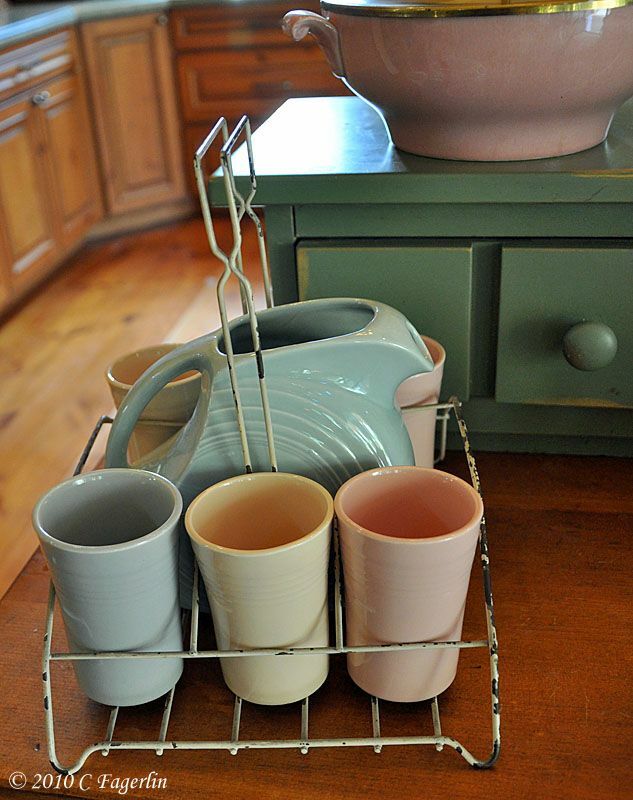 The vintage "Jubilee Juice Set" in Celedon Green, Shell Pink, Mist Gray, and Cream Beige. 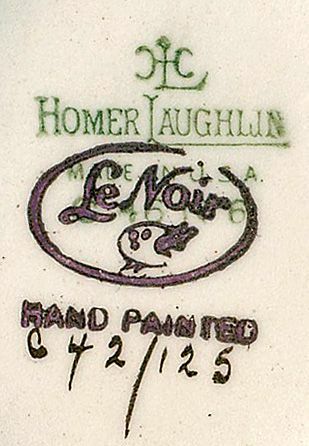 Laughlin for the 75th Anniversary of the company in 1948. 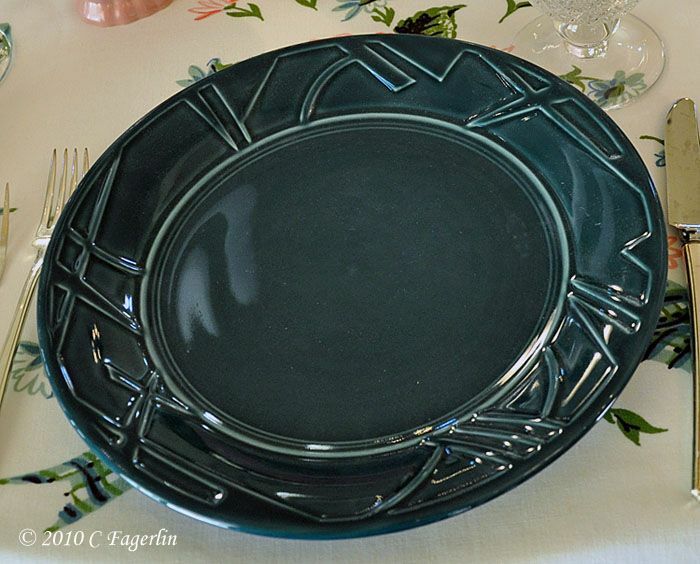 Several pieces of Kenilworth, yet another line from Homer Laughlin, are also shown in this tablescape. 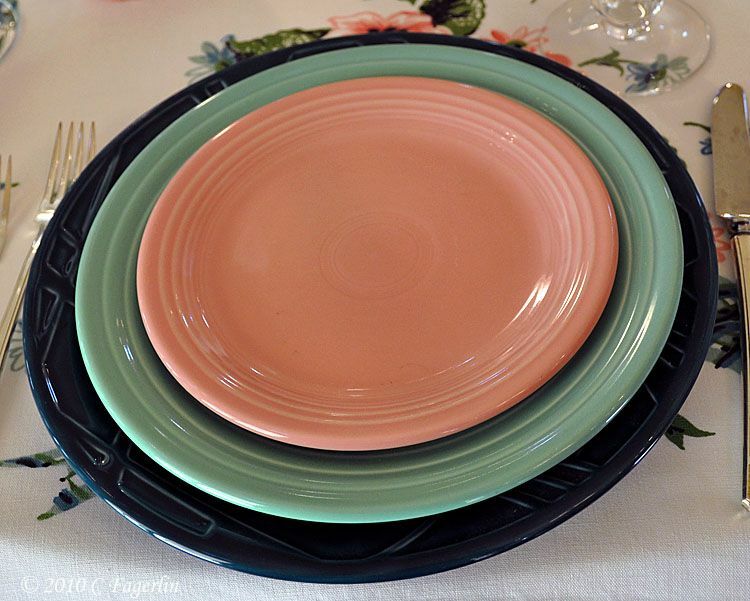 It was very limited in the pieces offered and came in Epicure White, Pink, Turquoise, Black and a few Yellow items, plus the highly sought after decaled line with images of Casino Chips produced for a special client by Homer Laughlin. 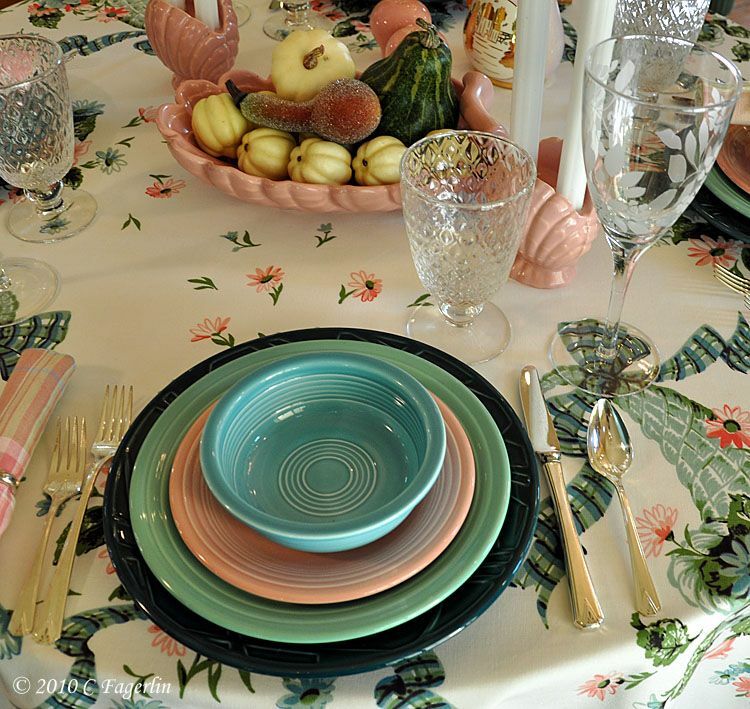 Click on the image below to see more of the Casino Chip tablescape here on TLRT. Thanks so much for stopping by again this week, hope to see you again soon. Love all the colors pulled together. 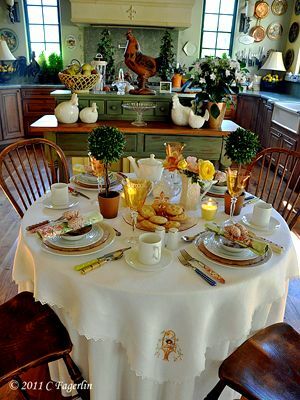 Beautiful table!! 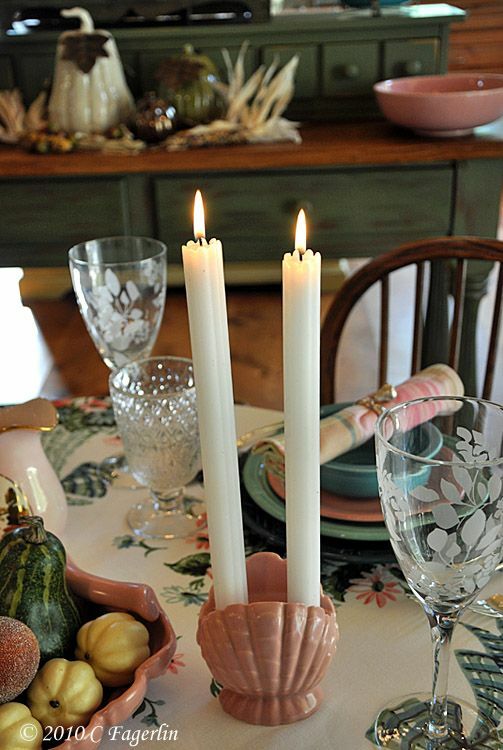 Ooohhh...you got the shell candleholders AND the console bowl...excellent! 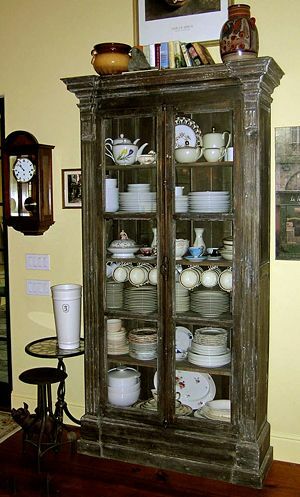 I really like how you're putting the dinnerware in the little case on the island. 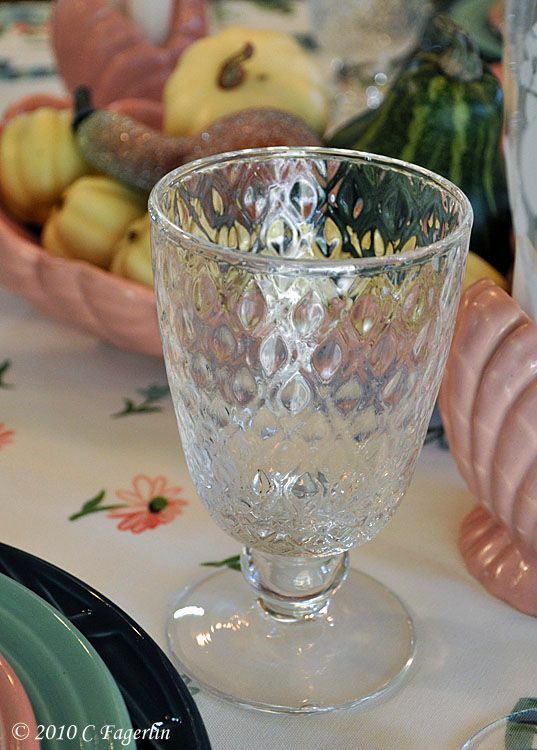 The colors are a great autumn alternative! 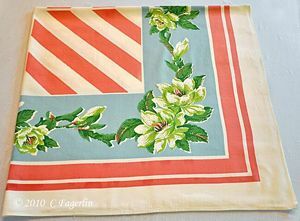 How long have you been collecting table cloths! I don't think I've seen the same one twice. 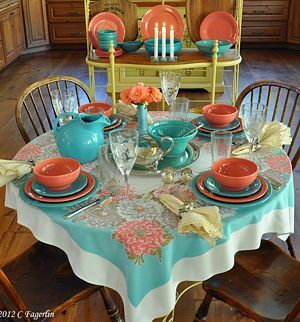 I love seeing you're different tablescapes to match. I am amazed to see that some pieces of your collection are that old. The Fiesta looks always very modern in shape. 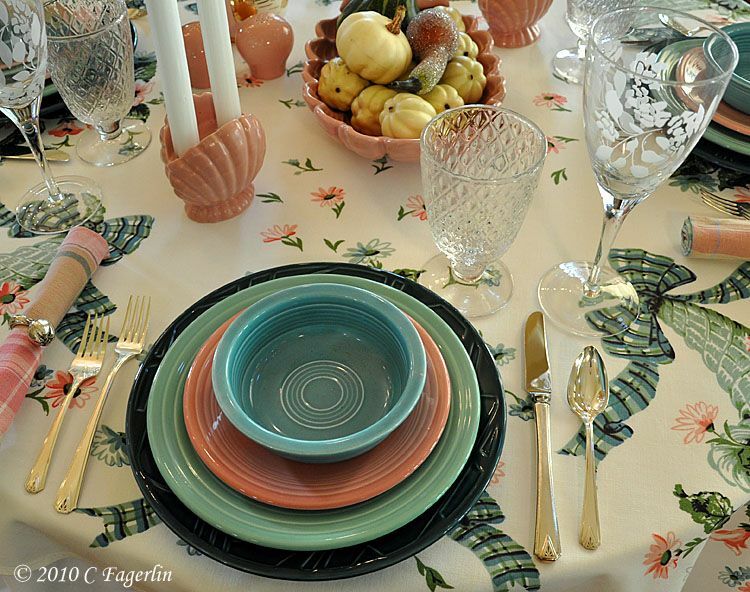 I love the colors of the todays tablescape. This is really like a sunny november day. 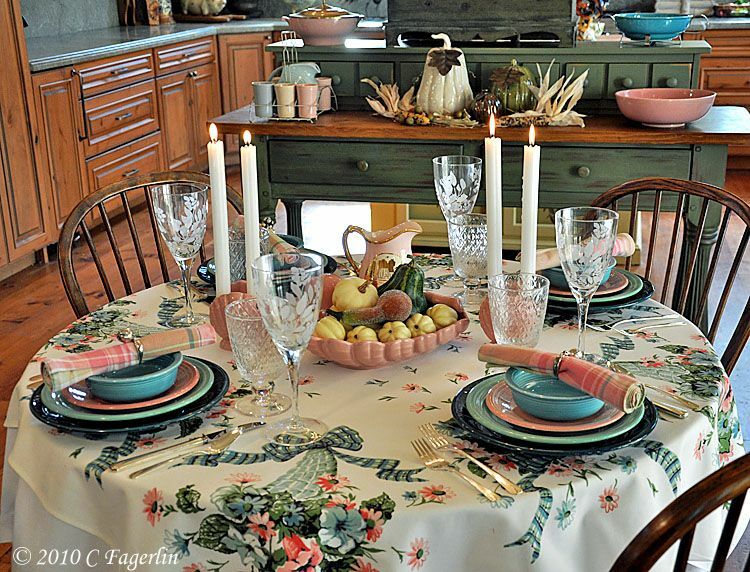 Soft colors with many soft blue hues and your tablecloth is gorgeous (as always). You have really the perfect eye for colors. 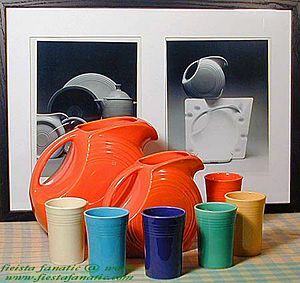 I am always unsecure how to combine different colors - you do it really with great results. 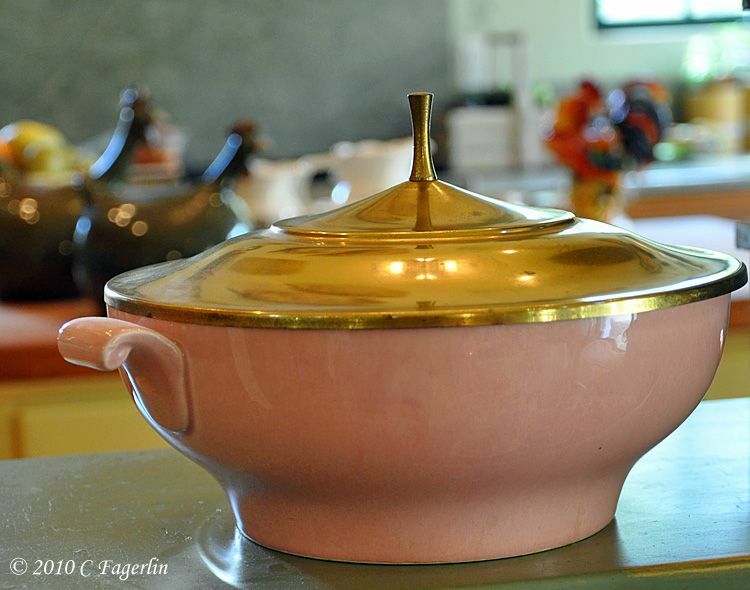 I love the juice set and the tureen is great. 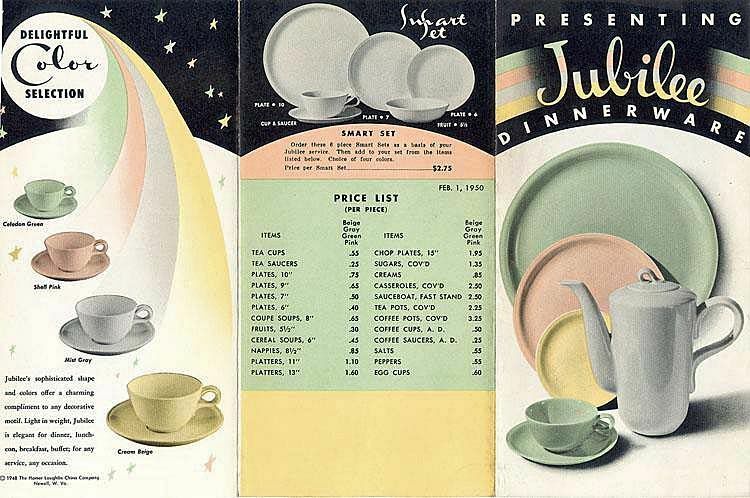 And in your wonderful kitchen all looks like in a magazine. Thank you so much for sharing this. 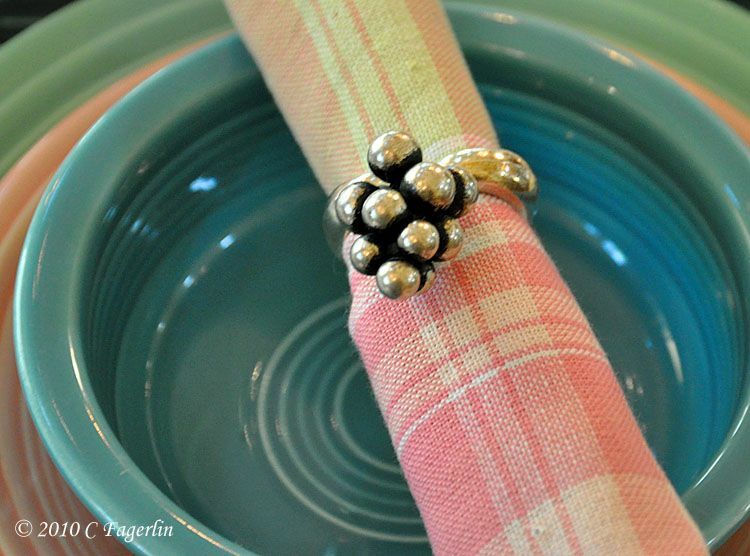 Thank you all for stopping by to see my latest "Fall" tablescape! We're enjoying the last bit of summer with temps pushing into the low 80s! Big Pacific rain storm due by the weekend, so life is about to change big time! 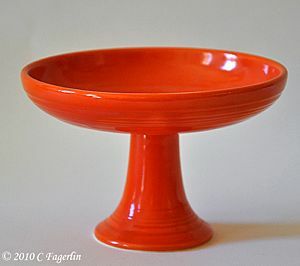 Daphne - Your set of candleholders was my inspiration, wasn't crazy about the presentation bowl at first, but I've come to really like it on the table! 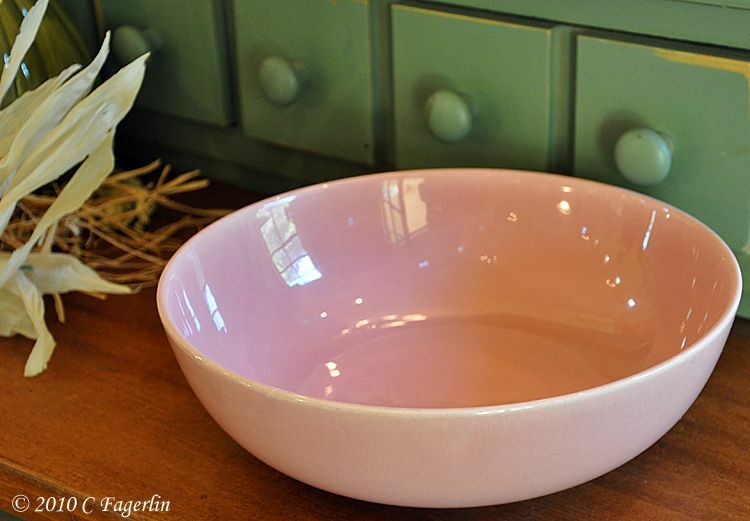 It's a good size and doesn't dominate the space like so many other ones do. The counters are granite "Costa Esmeralda". Depending on what part of the quarry it comes from it can be very blue or more green. We waited and looked for almost a year to find large enough "green" slabs to use in the kitchen. I'm still loving it and so glad it won out over some of my other choices .... white marble, soapstone and another "gold" hue granite were also in the running. 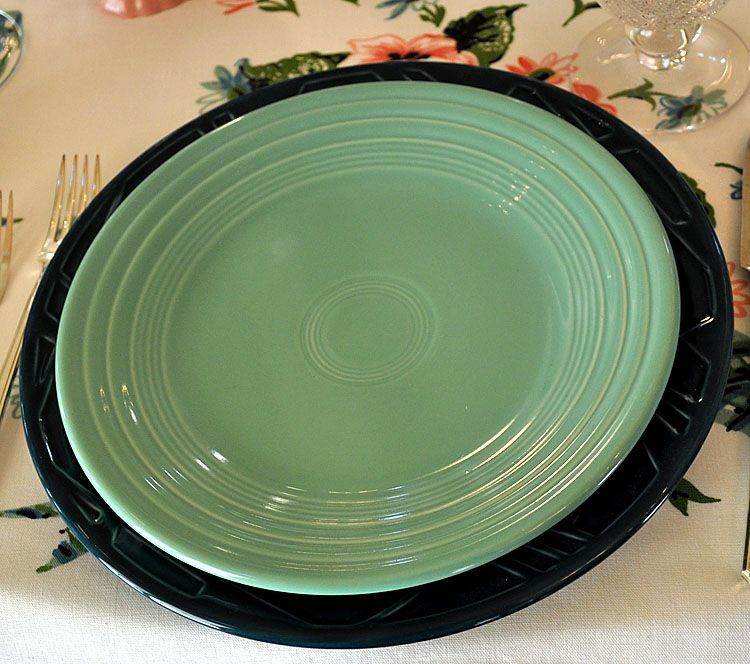 This muted green is very calming in a kitchen full of colorful dinnerware! See you all again soon for more COLOR! Oh my goodness! This is the first time I've visited your blog. It is wonderful! Everything blends so well. You have such an eye for color. 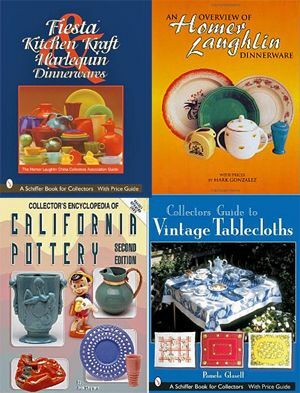 And what a treat to get a little Fiestaware education along the way. I am new to blogging. Hope you will join me on my new adventure. OMG! 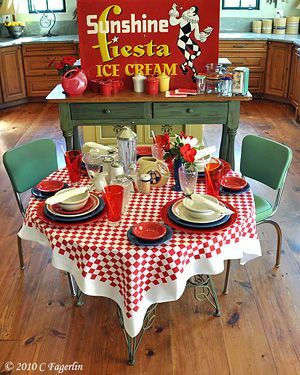 I love the tablecloth!! 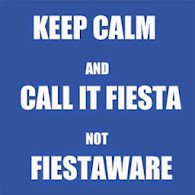 And the fiesta juice caddy is to die for!! 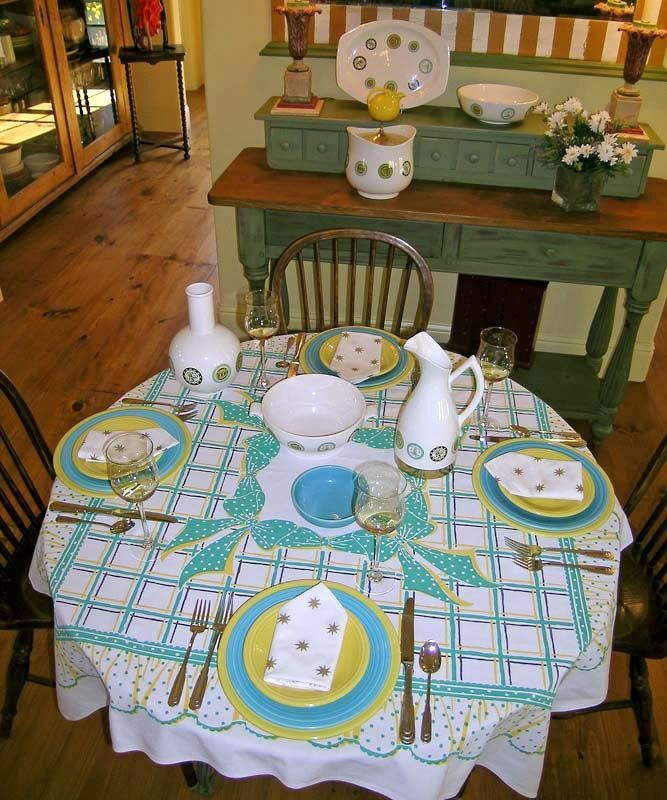 Just a very lovely table over all! Amazing photos, one after the other! And anchored by the table cloth. Happy VTT! 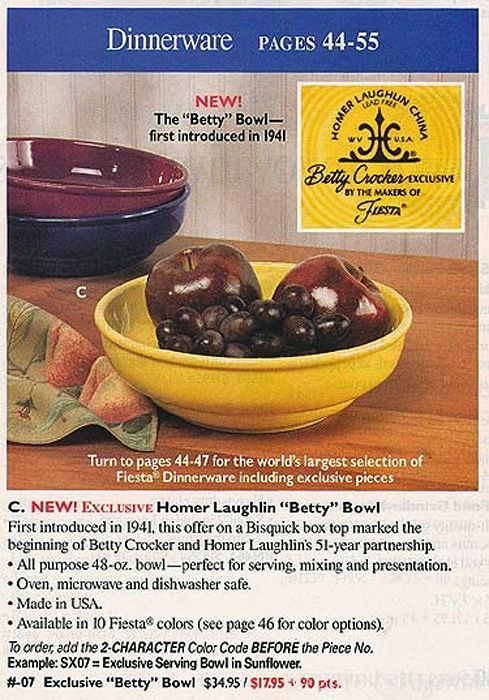 I never heard of the Betty bowl before. 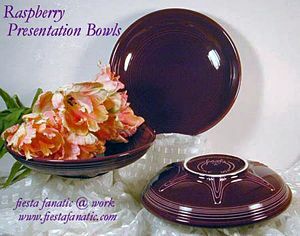 I would love to find one of those even though I don't collect dishes. 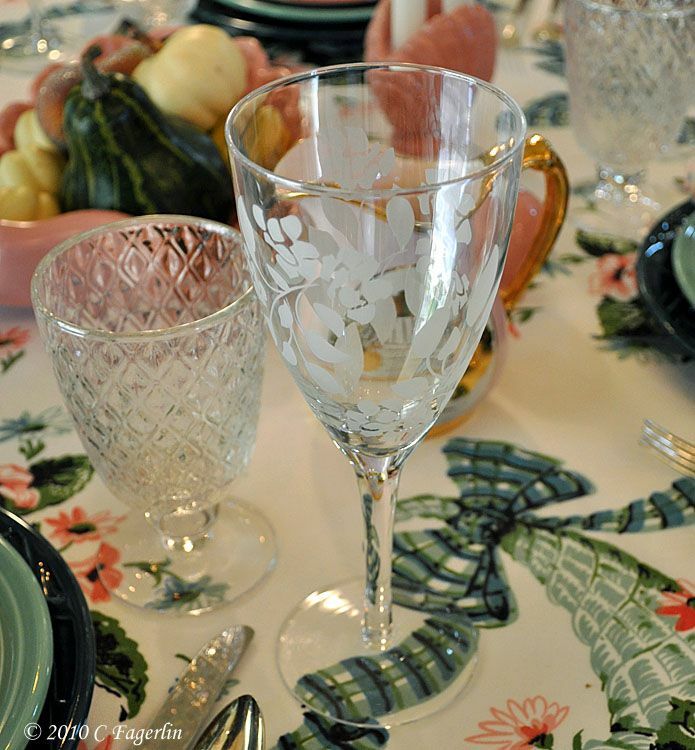 What beautiful tablescapes. I love the colors! 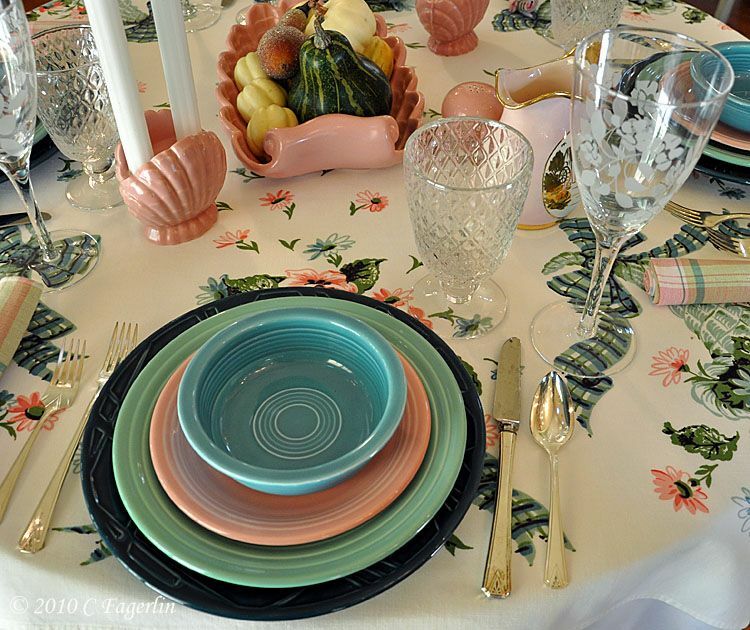 I absolutely love these colors that you have used for your fall tablescape!! Gorgeous...really gorgeous. 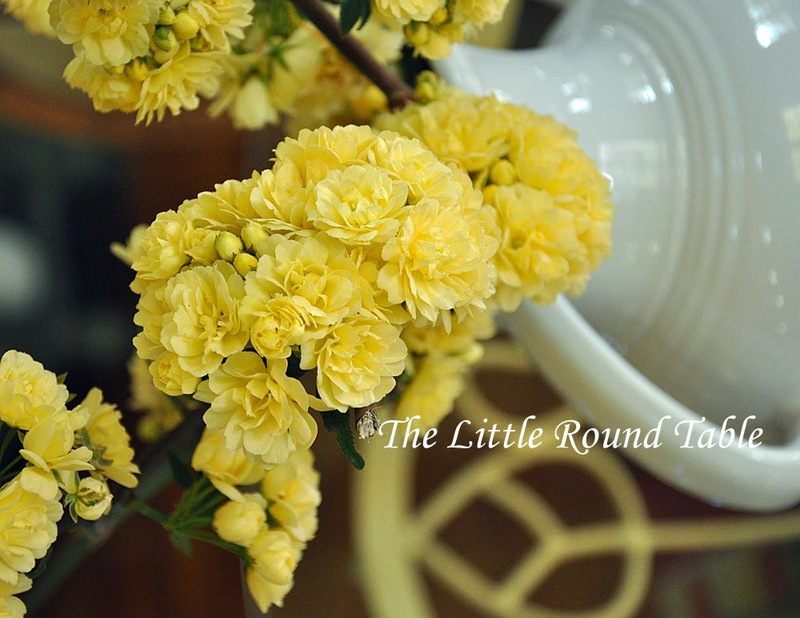 Thanks for linking up to Centerpiece Wed and sharing your ideas. 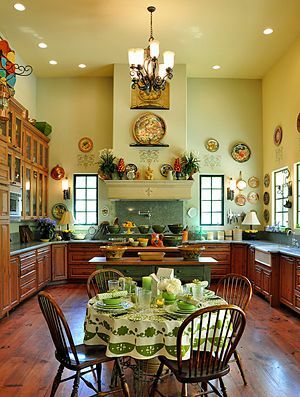 Oh my gosh I just love your entire kitchen, it's gorgeous! 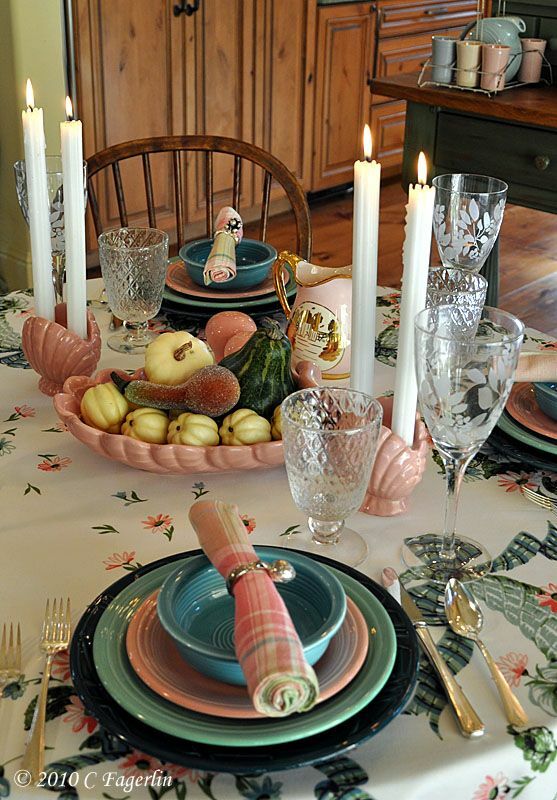 I am a non traditionalist with my color scheme at the holidays, so it's nice to see yours looking so festive for Thanksgiving while still having summery colors. It's the perfect inspiration, so thank you! Happy VTT! 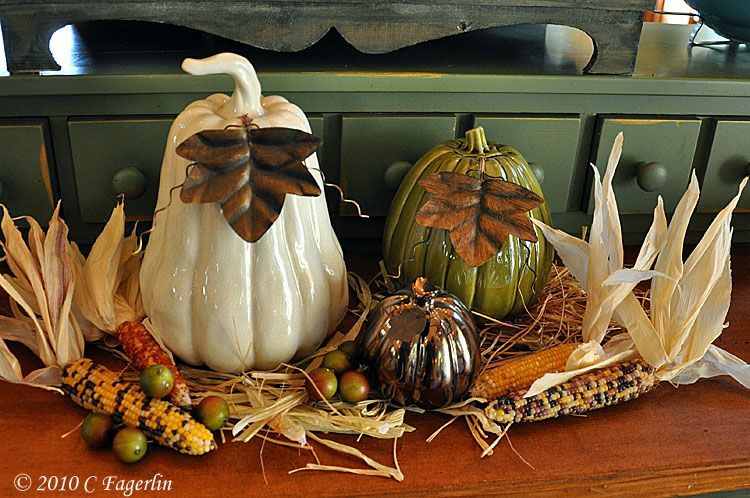 Thank you everyone for coming by to see this "Fall" scape! It is still very sunny and warm here, but they are promising a storm this weekend. 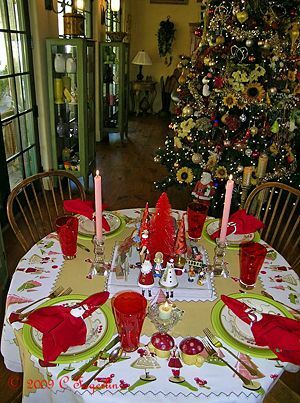 I'm still harvesting summer vegetables and using lots of bright colors on my tables .... but Christmas will pop onto TLRT in about 10 days! 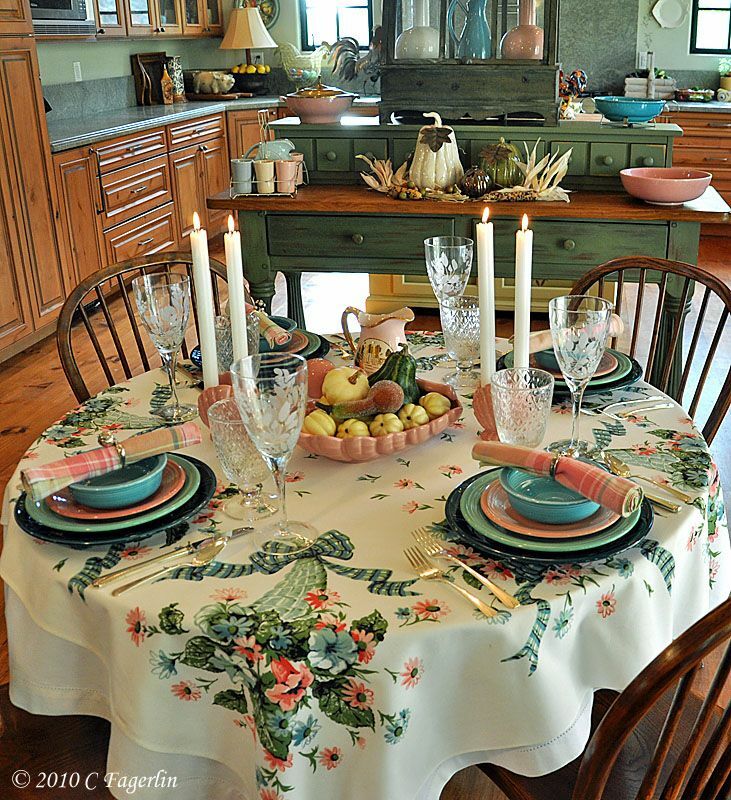 Hi Candy, I just had the best time studying your beautiful table setting and your gorgeous kitchen. 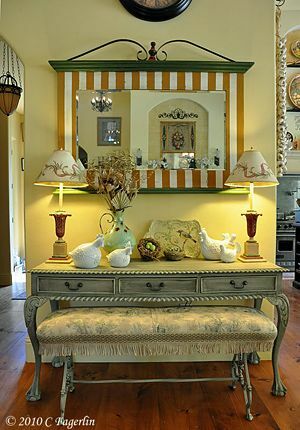 Your vintage decorating is awesome. 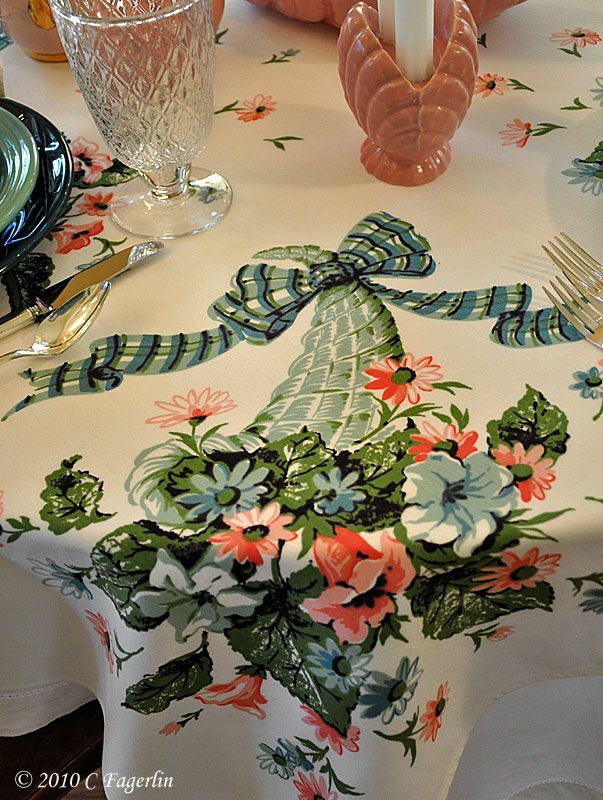 The table cloth is a treasure beyond words. 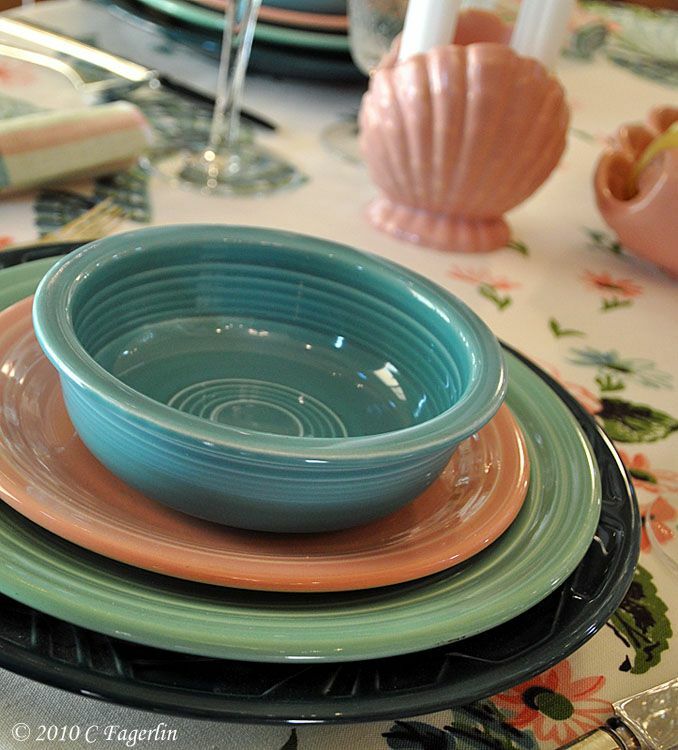 Your chosen dinnerware is perfect with all the colors on the tablecloth. 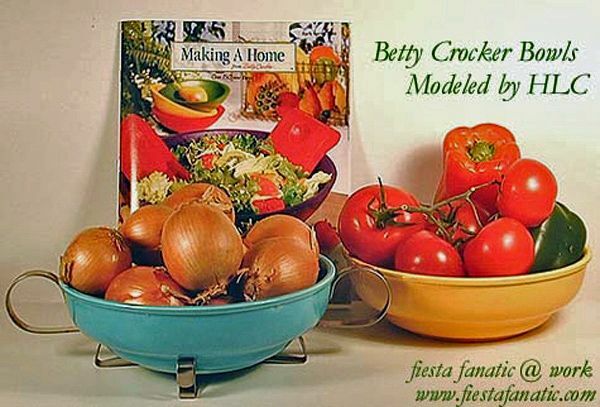 I loved every photo you shared as well as the history of Betty Crocker dishes. Wishing you happy, festive, days, with the upcoming holidays. Oh, what lovely tables. 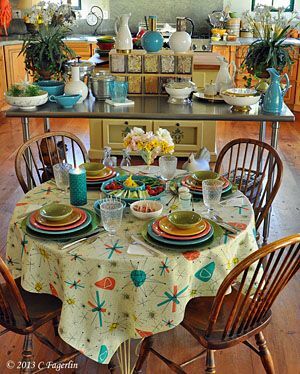 I love the tablecloths and the dishes....you have the same taste I do. Happy VTT! This is striking! I love the soft colors - such a beautiful collection. 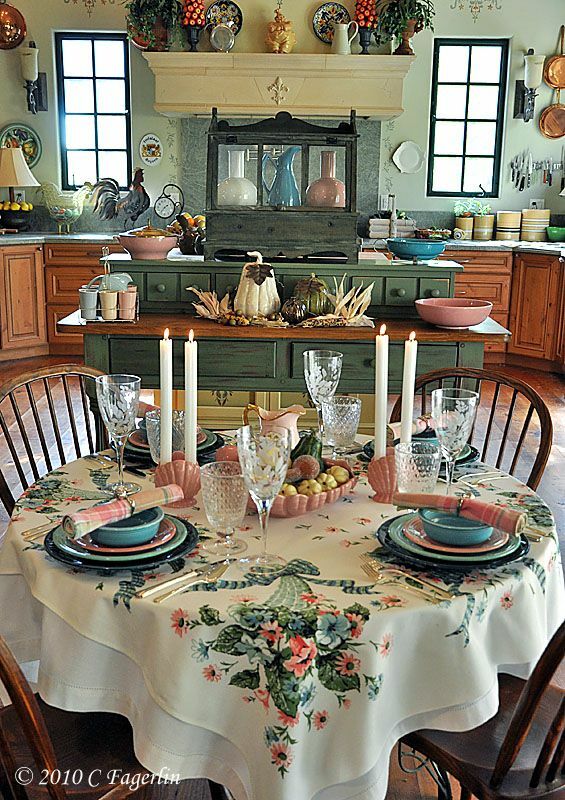 What a fabulous post, I love your West Coast fall decor in patel tones, the way everything comes together is wonderful. 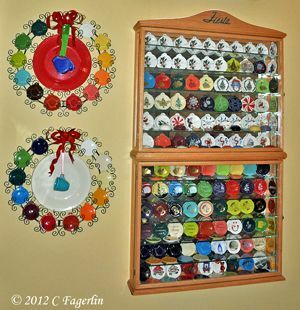 How talented you are and what super collections you have. I love the unusual colors of the cornucopias. How wonderful to bring in other colors this time of year. Beautiful. You are so right, these colors are very uncharacteristically harvest for a cornucopia. But, as always, you have done a magnificent job. Thank you all for stopping by for this last look at Fall here in California. We're having rain and sun on and off now, lots of snow in the mountains and a predicted drop into the low 30's tonight! Yikes!! But the good news is that the lemons will love it and start to ripen even faster to be ready for Christmas. 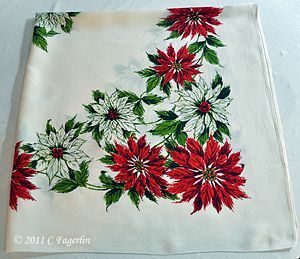 Hope to see you all again very soon here on TLRT for lots of Christmas 'scapes.